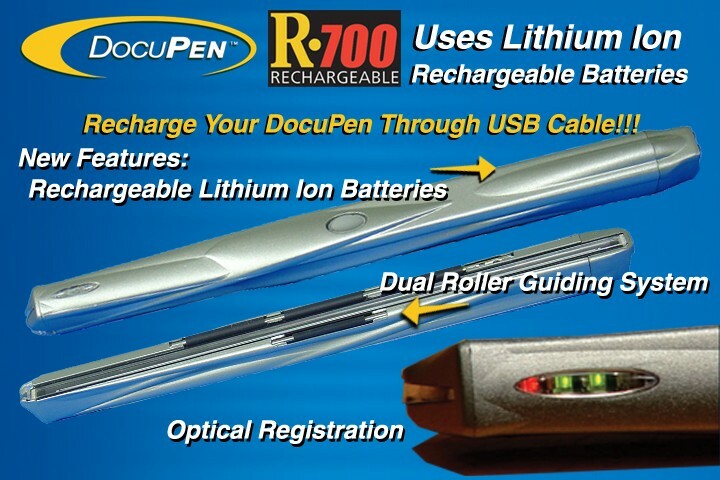 Planon's newest scanner, the DocuPen R·700, includes a rechargeable feature that allows the DocuPen to remain perpetually charged without utilizing a separate charging unit. 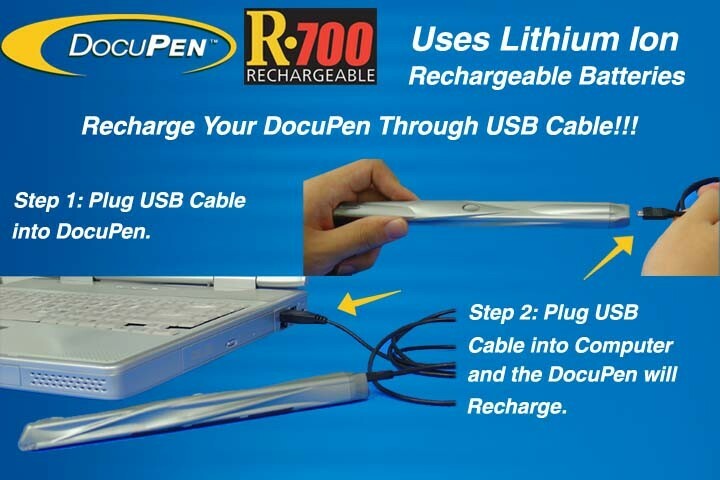 Once a user plugs the DocuPen R·700 into a computer's USB port to download the scanned information, the scanner's batteries are automatically recharged. The DocuPen R·700 also features a dual-roller guiding system and optical registration technology to enhance the user experience by creating a smoother scanning operation and a more accurate scan. The dual-roller guiding system includes strategically placed rollers around the scanner lens to distribute operator's pressure evenly for smooth and easy scans. Using optical registration technology, the DocuPen R·700, can create a highly accurate scan using its optical timing and registration system. The DocuPen™ is different from other pen scanners in that it scans a FULL PAGE width and therefore scans the entire page including text and graphics in just 4 seconds. Other pen scanners only scan single lines of text or records handwriting and cannot scan graphics making them much less practical. In comparison, the DocuPen™ is truly a breakthrough in technological development because it fully realizes the potential of what other pen size scanners tried to accomplish. The need for convenient out of office scanning is enormous but has not been satisfied because the products to date did not fulfill that need adequately. As the fax evolved from the telex, to successfully satisfy its communication need, the DocuPen™ is the practical solution to the pen scanners finally opening the market for wide spread acceptance.